Plan your next meeting, conference or special event at the Embassy Suites Anaheim – South hotel. Ideally located in the Anaheim Resort area, our hotel is less than one mile from the Anaheim Convention Center and near many local businesses and corporations. Take advantage of 30,000 sq. ft. of flexible meeting space, including the 10,000 sq. ft. 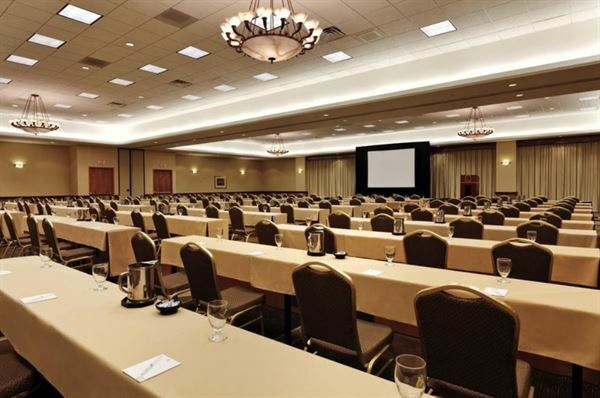 Landmark Ballroom, two executive boardrooms and 11 conference suites. All of our meeting space is conveniently located in one area on the first floor, away from atrium and lobby. Ample space and a variety of settings makes our hotel is also a perfect Anaheim wedding venue. Use our onsite catering services, or feel welcome to bring vendors of your choice. A list of preferred vendors is available. From meetings to conferences to personal milestones, our professional staff is on hand to make sure each event runs smoothly.